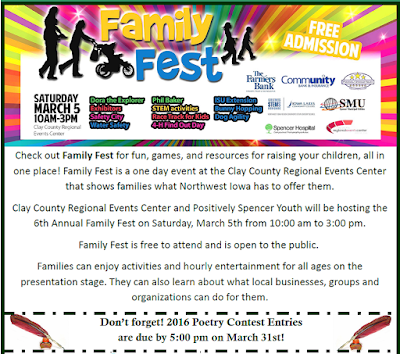 Visit Spencer Public Library's booth at the 6th annual Family Fest event at the Clay County Regional Event Center on Saturday, march 5th from 10:00 am to 3:00 pm. Kids can decorate their own bookmark, win a prize from our lollipop tree, and play in our Lego pool! participants in our Code Club. Several of the Code Club kids will be on hand throughout the day to talk about their games and what they've learned this year in the program, as well! families. 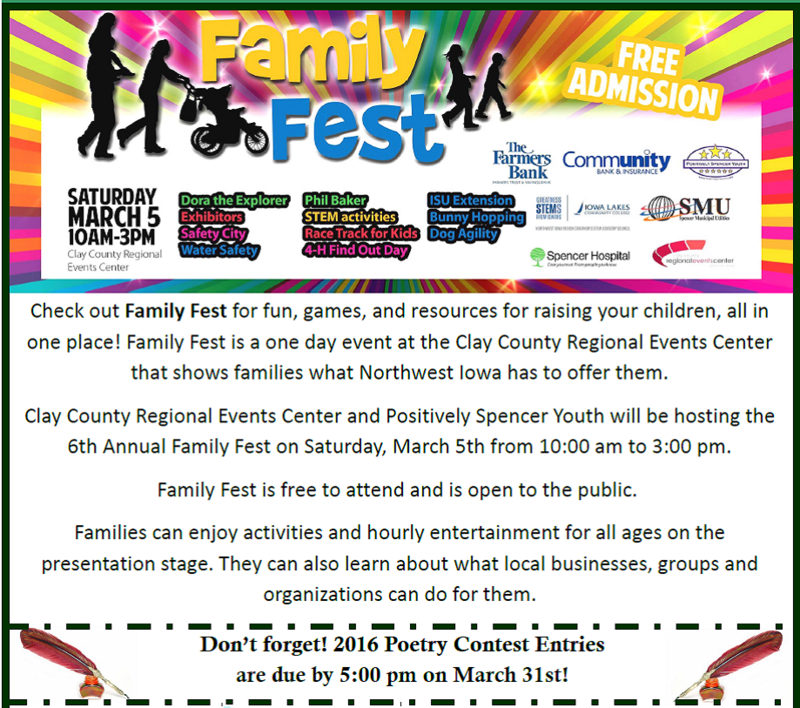 Come out and see us at Family Fest!